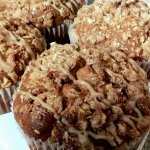 Fun little find - Sheyegirl Coffee Co.
Review of Sheyegirl Coffee Co. 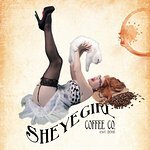 Description: SHEYEGIRL COFFEE CO. was brought to life by singer/songwriter/actress Sheyenne Rivers aka SHEYEGIRL. Both her organic coffee and vintage style are timeless. 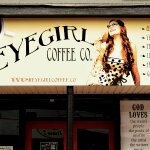 SHEYEGIRL COFFEE CO. also features live music on weekends from local and touring musicians performing their original songs in an acoustic setting. This is a fun little place to hear music occasionally and have a nice coffee. The day I went they had some yummy muffins and treats. The first visit I made after they opened I found some vintage blue jeans for a steal..so you never know what they will have. Very eclectic. 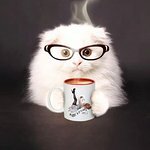 Ask shannonprn68 about Sheyegirl Coffee Co. Cool coffee shop in a cool little town! My partner and I are full-time travelers and just happened to drive through Ashland City for the first time. We actually were just passing through and had no intent of stopping, but we were pulled in by how stinking cute this whole town seemed to be, nestled into a valley. We passed a farmers’ market and parked nearby to see what we might find, and happened to park in front of SheyeGirl’s coffee. We almost immediately got pulled in by the spunkiness, the open-minded vibes of the posters on the door, and the live music drifting through the sound speakers. Everything inside is a quirky mix of a raw warehouse, with mismatched furniture, and everything vintage—with the exception of the coffee which was AMAZING. I’ve ordered iced lattes with almond milk from 100 different coffee shops, and this was by far the best cup of coffee, hands down. Very smooth. The photographer (?) at the shop also told me that they handmake all of their own flavors and don’t use any flavor syrups, etc. Very homey and earthy, and seems that everything is fair trade, organic, and lots of dietary friendly options! They have a very unique coffee menu, all of the recipes look incredible! I’m on a low-sugar diet so unfortunately I couldn’t try them and had to order simple. 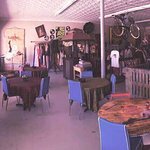 Aside from the seating area and the live music stage, a section of the shop is designated to a form of consignment of everything vintage, and a few things modern. Overall, very interesting, and the people running the place seemed to be very nice! The ONLY odd or negative incident, which I didn’t understand, is that the server/photographer who was taking my order approached our table multiple times (maybe 7 times total) but never addressed or acknowledged my partner who was seated right next to me. We both thought it to be strange and can’t figure that part out... Otherwise, neat little nook! Ask bfpadma about Sheyegirl Coffee Co. I used to visit Ashland City just to ride the bike trail which is my favorite in this area. Then I found Sheyegirl Coffee!! Now I go to Ashland City for the coffee and then ride the trail!! This is such a neat little place to just relax and have the best tasting coffee ever! It's fun to browse the shop while your coffee is being made. Nostalgic stuff that brings back memories of simpler times. It's like visiting an old friend for coffee. If you are anywhere near Ashland City stop by. You will love it too! 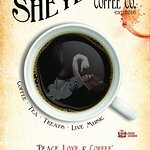 Ask Carolyne H about Sheyegirl Coffee Co. Breath of fresh air in a sleepy town. I live about 30 min from the shop, so I dont get to visit it as much as Id like to, but its just fantastic. It brings a little hipster flair to the small main square of Ashland City, TN. 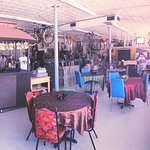 The owner is a musician herself, and invites her musician friends to perform, so you get fresh organic coffee, professional entertainment, and vintage clothes shopping at one location, without driving all the way to Nashville. 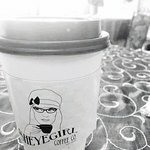 Ask DebbieT1870 about Sheyegirl Coffee Co. I stop in some mornings on the way to work and get my coffee fix. It's a great place to grab a cup of coffee to start your day. This place is full of creativity and energy. If you're in Ashland City, you definitely want to walk through the doors and enjoy the atmosphere. Ask Jonathan C about Sheyegirl Coffee Co.
Been to Sheyegirl Coffee Co.? Share your experiences!